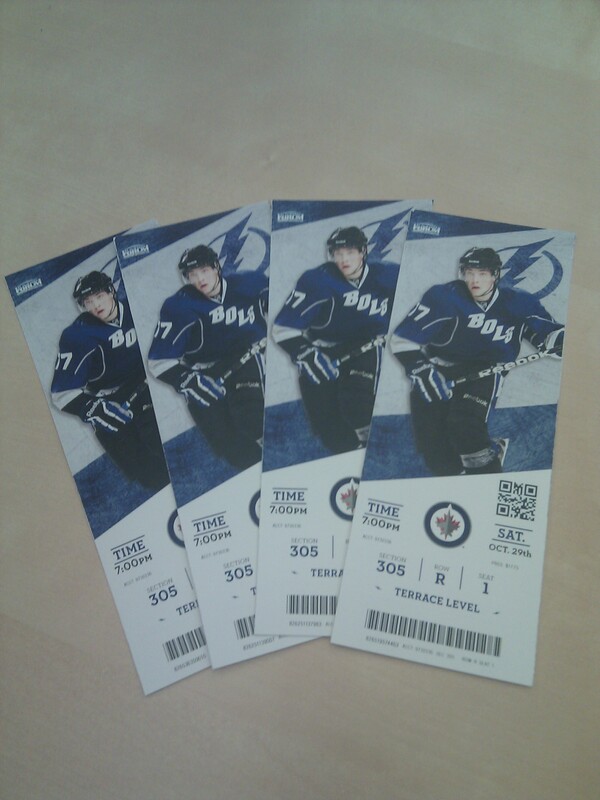 Good news for fans of the Tampa Bay Lightning: We were running a test which left us a with a few tickets to give away for Saturday’s game vs the Winnipeg Jets! A winner will be announced TODAY! Best of luck! Also, there are actually 5 tickets. But the 5th is by itself. We will send it anyway to do with it what you choose.